Through the newly established Elmia Spark Award, Elmia and Fairlink want to drive exhibitors and visitors return on event (ROE) to new heights. 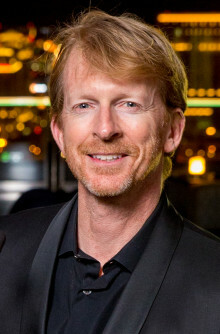 Now Jason Popp, at GES, agreed to join the jury. With more than 90 years and the most comprehensive breadth of services and technology, GES bring brands and customers closer together through events, exhibits and exhibitions. Work on Elmia Wood 2021 is already in full swing. 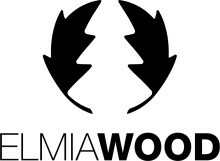 Elmia has recently made new recruitments and boosted its wood team, which is now focusing on putting together SkogsElmia 2019 and Elmia Wood 2021. Meanwhile, Elmia Wood is marking its evolution with a brand new visual profile. Today Elima AB announces that the world´s No 1. forestry fair, Elmia Wood, will be launched May 18-21 in 2021. 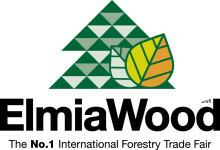 Elmia Wood is an international fair for the entire forestry industry. It is a meeting place held in the woods. Where everyone, from the idea stage to the finished products and machines, has the opportunity to be represented. The most successful and innovative Elmia exhibitors will from now on be rewarded. Through the newly established Exhibitor of the Year Awards, Elmia and Fairlink want to drive exhibitors and visitors return on event (ROE) to new heights. Jönköping City Council gave the green light for Elmia’s planned development of its facilities. The first shovel will be put in the ground next autumn and the new exhibition hall of 10,000 square metres is scheduled for completion by 2021. A new Nordic council of ministers for transport issues, joint planning for an expanded double track line between Oslo and Gothenburg, and synchronisation of the national transport plans are some of the Nordic Council’s proposals for growth and development in the Nordic region. The coming megatrends. The rapid development of new, disruptive technologies. A changing global market. It is no longer “business as usual” and Elmia Subcontractor faces that fact head on. Meet the industry, hear the debates and find the smartest solutions at Sweden’s biggest industry event! The world’s first modular, foldable wheels, super-stable high-tech wood, and a 3D-printed metal bridge. This year some 100 innovations are being shown at Subcontractor InnoDex – offering handpicked properties and possibilities for the industry’s future. The coming megatrends. The rapid development of new, disruptive technologies. A changing global market. It is no longer “business as usual” and Elmia Subcontractor faces that fact head on. Sweden’s biggest industry event takes a comprehensive grasp of both the present situation and the future via inspiration arenas, stage programmes, matchmaking events and four halls filled with exhibitors. The latest gardening trends, the Perennial of the Year for 2019, and the shortlisted selections for the Elmia Garden Award for garden product of the year 2019 were some of the highlights that attracted great interest to this Elmia Garden fair in Jönköping, Sweden. The fair drew many exhibitors and strengthened its position as northern Europe’s largest meeting place for the garden retail trade. Elmia Garden is northern Europe’s largest meeting place for the garden retail trade. Over the period 26-27 September we will host 140 exhibitors from 10 countries who will exhibit their latest products at Elmia in Jönköping. On the stage, we will present everything from 2019’s garden trends to the very latest findings within the green branch. Elmia Lastbil, which is celebrating its 35th anniversary this year, was inaugurated by Sweden’s infrastructure minister, Tomas Eneroth (Social Democrat) on Wednesday in Jönköping, Sweden. 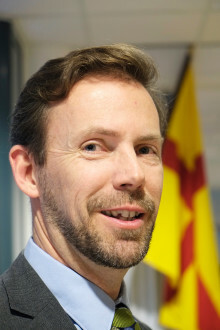 The minister prioritised attending the fair for two of its four days, despite the ongoing campaign for national elections in just a few weeks’ time. The new-generation forest owners are increasingly managing their own forests. At least as important as the yield is to manage the forests in a long-term and environmentally sound way. 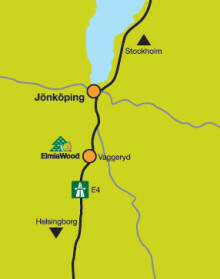 This approach will be in focus at SkogsElmia, which will be held next summer on 6–8 June 2019 in the forest south of Jönköping. The new fair manager for SkogsElmia is Mattias Pontén.